Celebrating 50 Years Participating in The Russell Auction! I was juried into the very first Russell Show, at the old Rainbow Hotel in downtown Great Falls. I was still in Detroit winding up my personal affairs preparing to move back to Montana and missed being in the second show. The following year I was again juried into the show and have been in each and every show since, a total of 50 years. 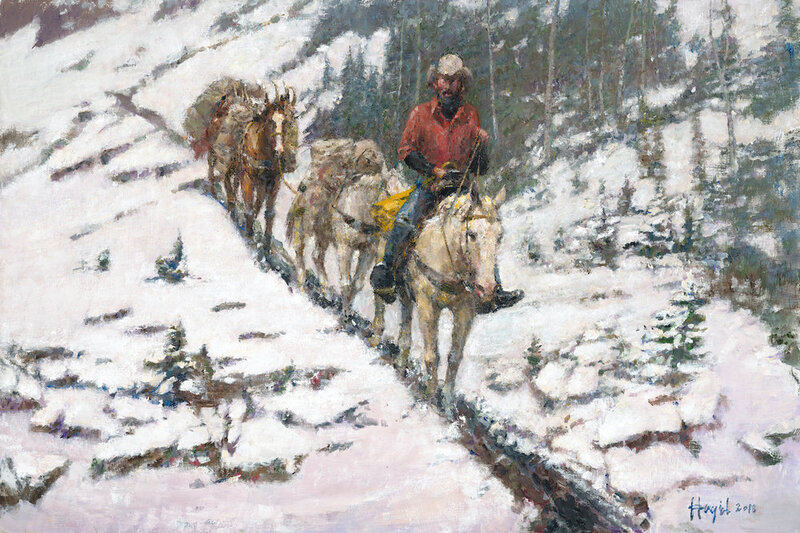 In recognition of those 50 years of support, my piece this year is one of me from about that time, coming down Lion Creek Pass in the Bob Marshall from a successful hunt — on the notable “Switchbacks” of the title.